Seven years of 70,000 Tons of Metal cruise have provide fans with treasure trove of classic moments. From the epic belly flop contest to the all-star jams to classic sets from Behemoth, Testament, and Cannibal Corpse, this annual voyage is nothing short of epic. 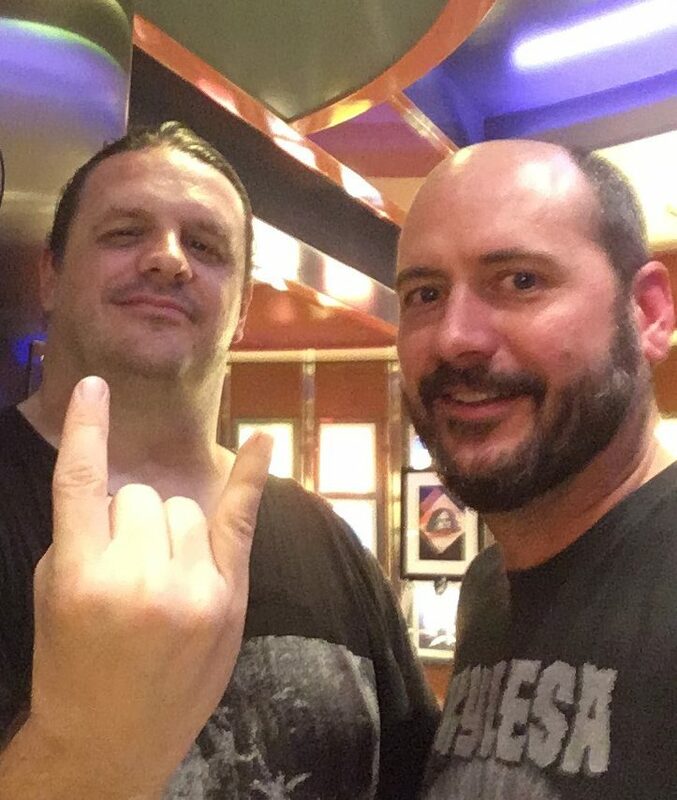 In preparation for the eighth installment of 70,000 Tons of Metal cruise, which sets sail in February, we dug into the vaults to see if we could identify the top 10 moments from the cruise thus far. This is, however, an incredibly difficult task with a massive scope (if you consider that 60 bands and 120 performances are slated for 2018 alone). We resisted the urge to give up on the effort and catch a buzz, and we have provided 10 of our favorite moments from 70,000 Tons of Metal cruises over the years. True to its name, the annual Allstar Jam brings out the heavy hitters to collaborate on metal favorites. In 2015, this included a performance of Motorhead’s “Ace of Spades” featuring Venom’s Cronos and Behemoth’s Nergal. Dying Fetus are staff favorites here at SkullsNBones, and for the uninitiated, this is one band you can’t miss live. The band came aboard in 2017, and served up some unabashed brutality. You can’t go wrong with Cannibal Corpse playing quite possibly their most famous (or infamous, if you will), song, “Hammer Smashed Face” on a boat in the Atlantic Ocean. This clip was also taken from the 2015 installment of the cruise, and it is a bruiser. While most onboard were donning trunks or bikinis, Ensiferum took to the Pool Stage in 2011 in the equivalent of summer kilts, then proceeded to rip the place apart. The almighty Behemoth brought the forces of darkness with them when they boarded the cruise in 2015. Touring behind their album, The Satanist, the stoked the rowdy crowd with the title track from the album. Why choose one Anthrax track from the 2017 cruise when video of the entire set is available. If this doesn’t make you want to pony up some cash and hit the high seas, you probably own a Justin Bieber t-shirt. You could say that a cruise is a sort of medication. Sun, water … well, at least those two things are healthy, but on 70,000 Tons of Metal, you have to factor in the booze and a lack of sleep. Is it worth it? If The Haunted performing in 2014 on the Pool Stage is any indication, yes … yes it is. If there is one thing that 70,000 Tons of Metal has mastered, it is creating a mix of bands covering the spectrum of metal music. In 2013, Delain performed to sunburned crowds, offering tons of melody while floating on the high seas. These days, it isn’t uncommon to encounter a Viking ship at an Amon Amarth performance, so the band on a cruise seems like a natural fit (minus the pillaging or other unsavory acts). We will be boarding the ship in February heading From Florida to Turks and Caicos Islands and back, and we are more than excited. Keep your eyes here for more on the cruise leading up to its departure, Tweets and Facebook posts during the cruise, and extensive interviews and photo galleries when we return. 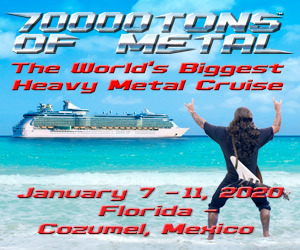 For more information on 70,000 Tons of Metal cruise, visit their website.